Kiyoshi KurosawaIn the tradition of Seven and Silence of the Lambs comes this genuinely spine-tingling horror/thriller from one of Japan’s most talked about filmmakers, Kiyoshi Kurosawa. 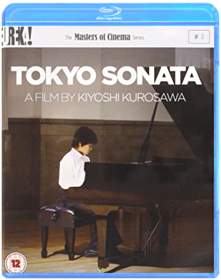 Set in and around a bleak, decaying Tokyo, a series of murders have been committed by average, ordinary people who claim to have had no control over their horrifying actions. Following the only link—a mysterious stranger who had brief contact with each perpetrator/victim—detective Kenichi Takabe (Koji Yakusho, Shall We Dance, Warm Water Under A Red Bridge) places his own sanity on the line as he tries to end the wave of inexplicable terror. 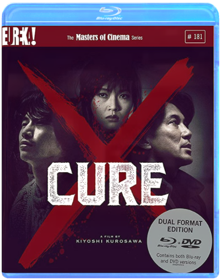 Kiyoshi KurosawaAward-winning filmmaker Kiyoshi Kurosawa delivered one of the finest entries in the "J-Horror" cycle of films with this moody and spiritually terrifying film that delivers existential dread along with its frights. Setting his story in the burgeoning internet and social media scene in Japan, Kurosawa's dark and apocalyptic film foretells how technology will only serve to isolate us as it grows more important to our lives. Kent JonesIn 1962 Hitchcock and Truffaut locked themselves away in Hollywood for a week to excavate the secrets behind the mise-en-scène in cinema. 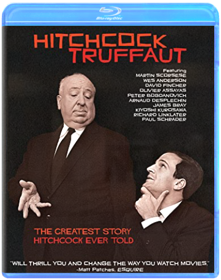 Based on the original recordings of this meeting—used to produce the mythical book, Hitchcock/Truffaut—this film illustrates the greatest cinema lesson of all time and plummets us into the world of the creator of Psycho, The Birds, and Vertigo. Hitchcock's incredibly modern art is elucidated and explained by today’s leading filmmakers: Martin Scorsese, David Fincher, Arnaud Desplechin, Kiyoshi Kurosawa, Wes Anderson, James Gray, Olivier Assayas, Richard Linklater, Peter Bogdanovich and Paul Schrader. Kiyoshi KurosawaNOTICE: Polish Release, cover may contain Polish text/markings. The disk DOES NOT have English audio and subtitles.